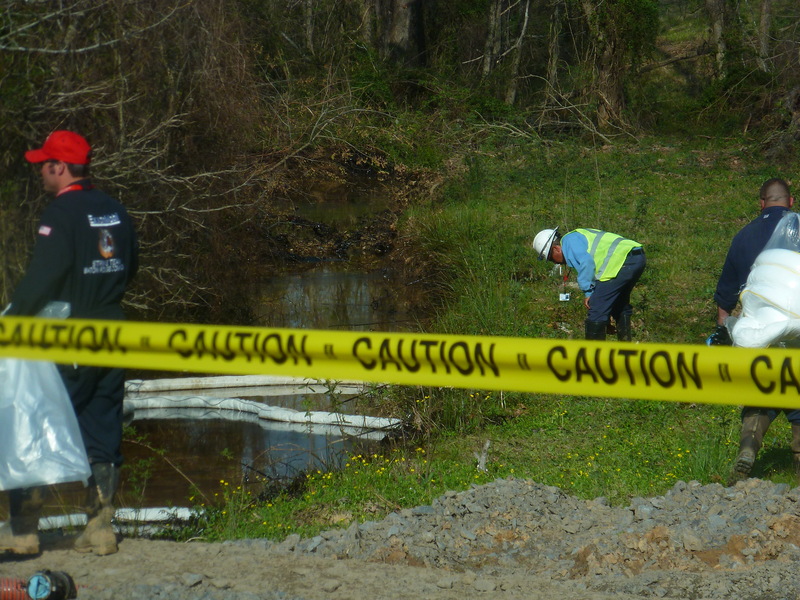 We went up to Mayflower to inspect what the hell is going on concerning the oil spill in Mayflower, Arkansas. In all honesty, the media isn’t giving this one much attention. Again, I suspect this is because it occurred in the South. CNN and the like don’t really give a damn about us. I have seen this far too many times since moving down here two years ago, and it saddens me. 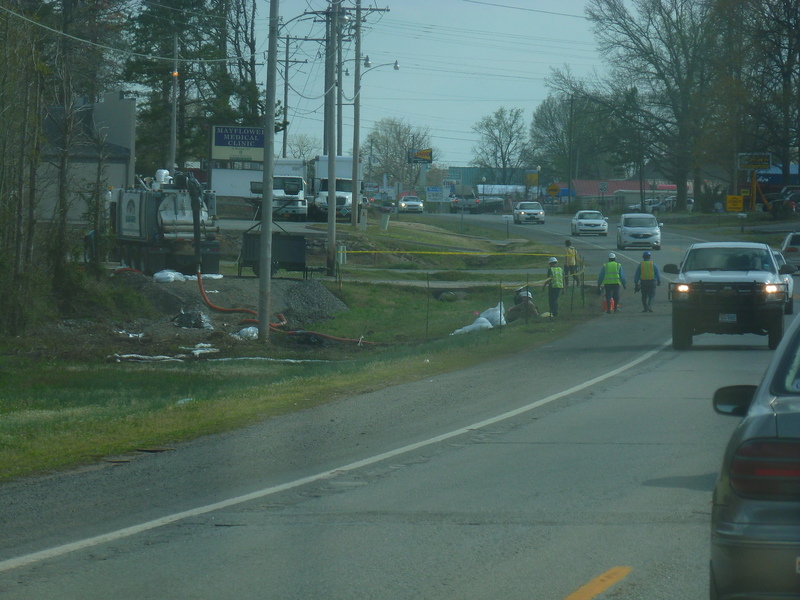 Clean-up crews have pretty much taken over the town. 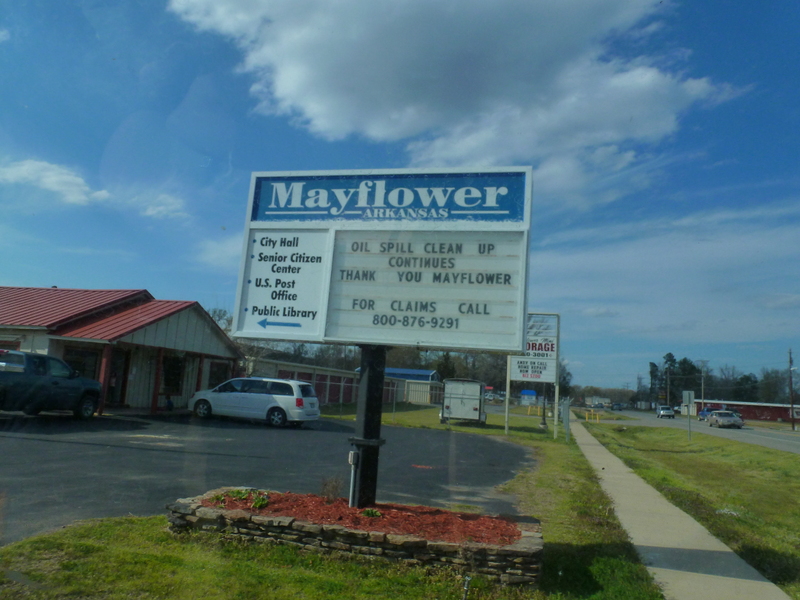 Mayflower is not a big town at all…but seems like the Exxon and clean-up people have made it a home for awhile. The smell was absolutely revolting. I got very sick from being there. Had problems breathing and got nauseated. 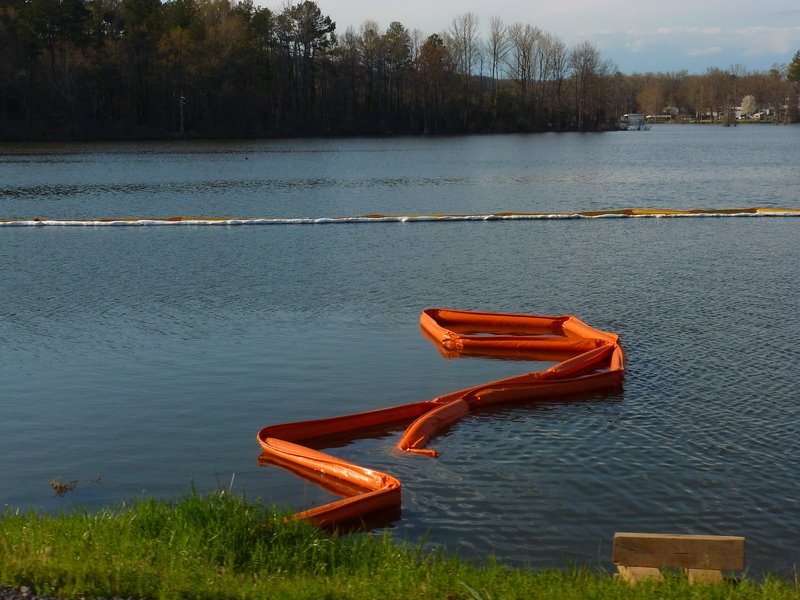 If any of you have ever experienced an oil spill, you will know exactly what I am talking about. 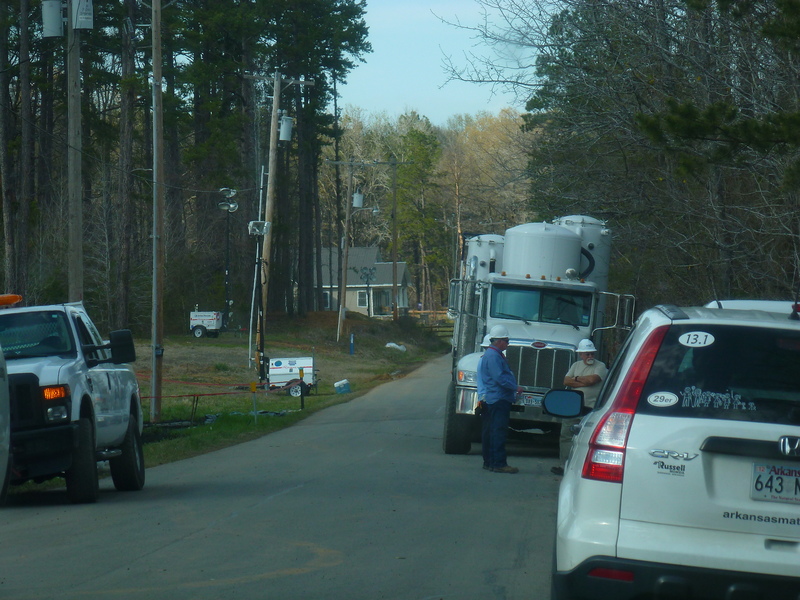 We were not allowed to go into the neighborhood where the oil is overtaking people’s homes. 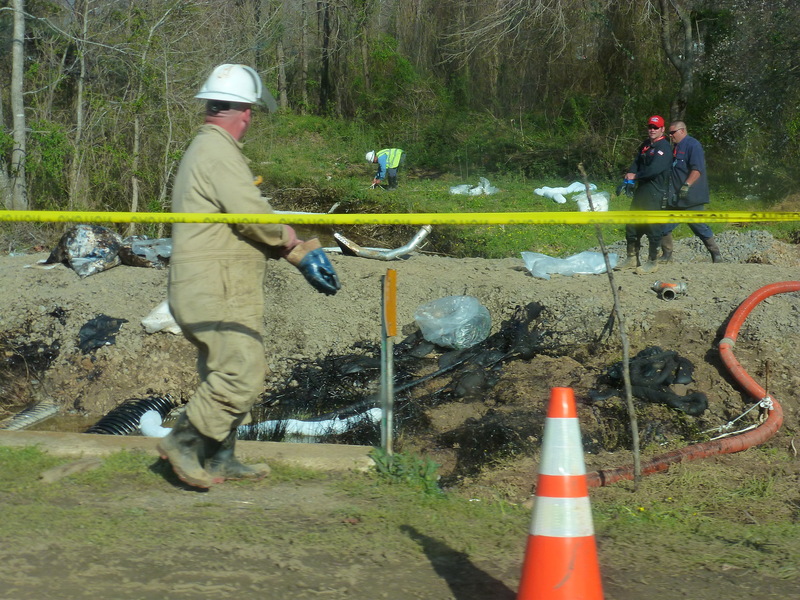 There is plenty of oil in the other areas, though, and as I said…the clean-up crews are all over. Not sure what the official story is concerning how much was released, but honestly, it has to be a lot with this many people. There is a police checkpoint before you get into the neighborhood where the homes are. We chatted with the police officer and he said it will be at least a month before anyone is allowed in the neighborhood. 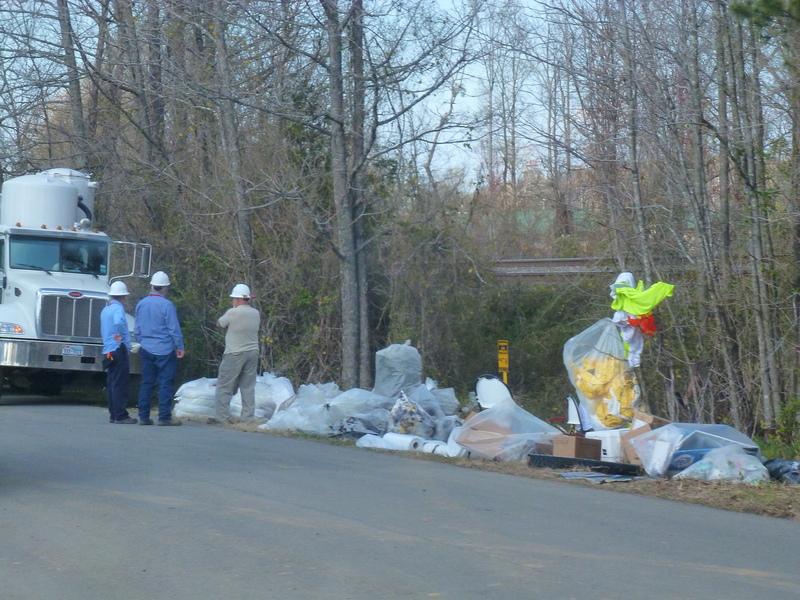 I don’t know if the homeowners are being allowed there, but I did see people, so I am going to assume that they are. 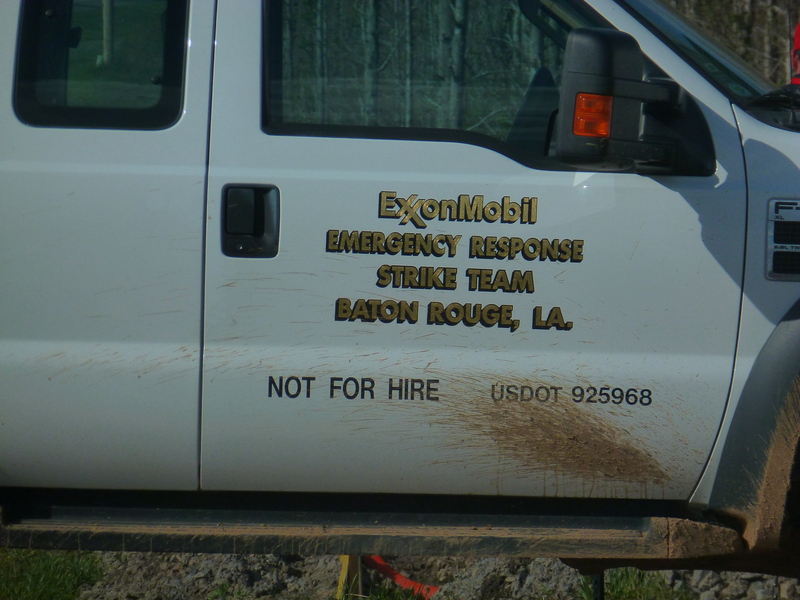 Of course, those could have been Exxon reps, for all I know. The police officer was not happy about the situation; you could tell he was disgusted by the whole situation. We went over to the grocery store, where one of the staging areas is located. 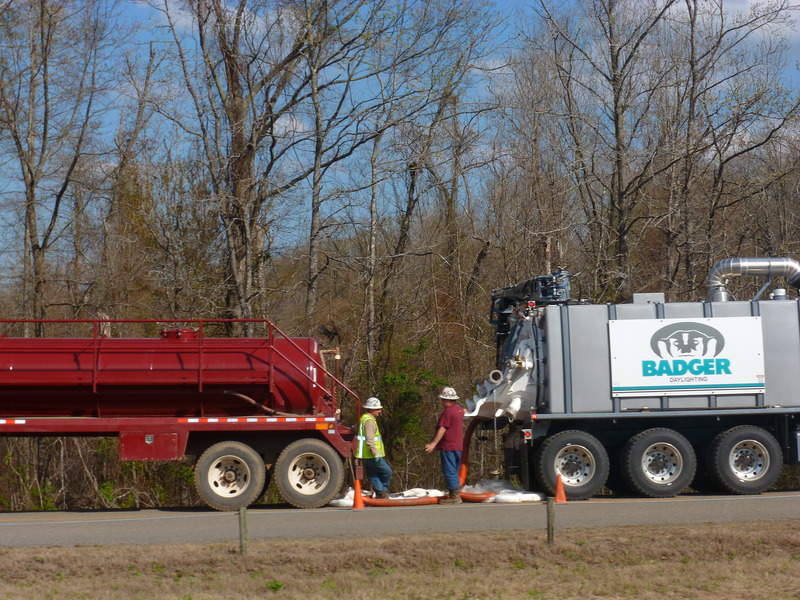 JM spoke to one of the workers, who said that he was doing air quality tests. All in all, it was fairly busy. This is very upsetting that this occurred in Arkansas. 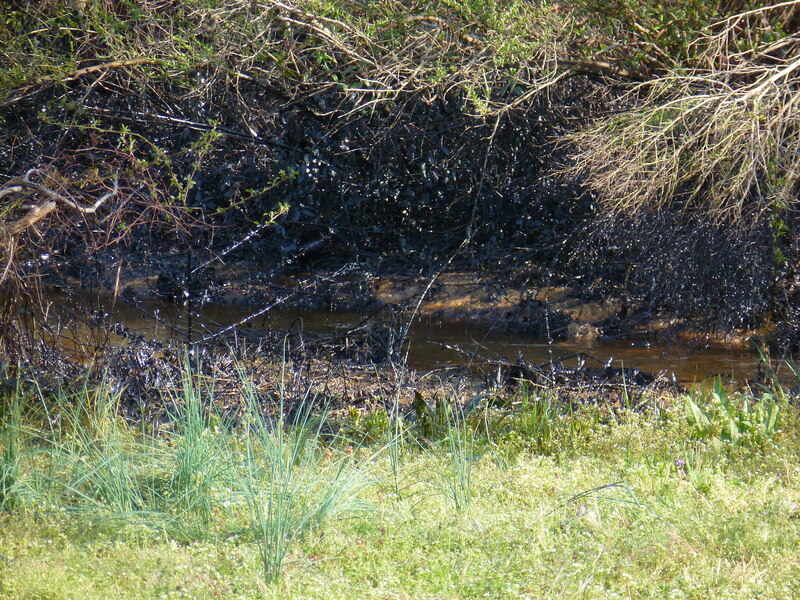 There was boom in Lake Conway and the creek looks like it had a lot of oil. I saw a family of ducks right next to the boom, there were babies there. Click on the photo for the larger version. 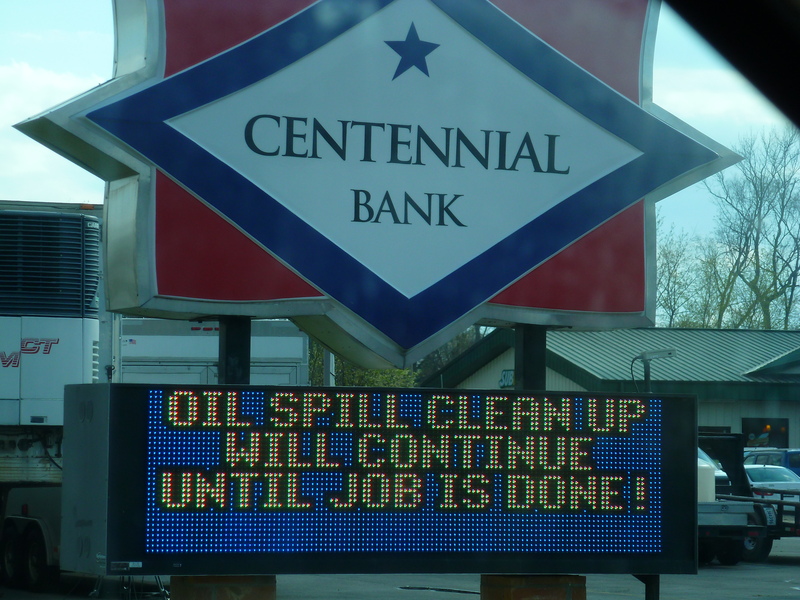 This entry was posted in Arkansas Oil Spill, Earth Events/Environment/Space and tagged Arkansas, boom, exxon, lake conway, mayflower, oil, oil spill. My grandfather took his young children fishing on Arkansas’s Lake Conway, then known as Gold Lake, about 100 years ago. 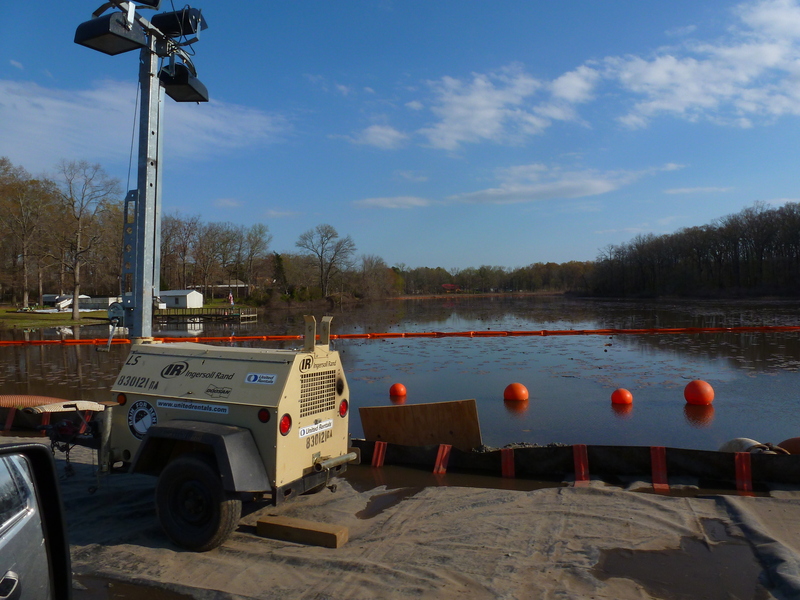 It saddens and angers me that later generations of our family – and other families – may not be able to continue to enjoy this beautiful place because of the degradation and toxicity unleashed by this unthinkable environmental disaster. My little family and I moved from Mayflower last May after being there for 3 years. I loved it there! We lived near City Hall (the middle of town) 🙂 I miss it and it saddens my heart to see this!! Thank you for posting about it.